Speed up your laboratory work with these 1.5mL snap-cap conical tubes that are pre-sterilized and require no autoclaving. Our T3 Tube™ is remarkable for its clarity, security and convenience and offers several outstanding features. The new "stand-up", gusseted-bottom bags stop accidental spilling and feature a handy zip-closure to protect the tubes from contamination. Each tube has been sterilized by e-beam and is lot-number certified, terminating the need to autoclave before use. Finally, each bag is equipped with complimentary cap-locks to protect samples during boiling or freezing. 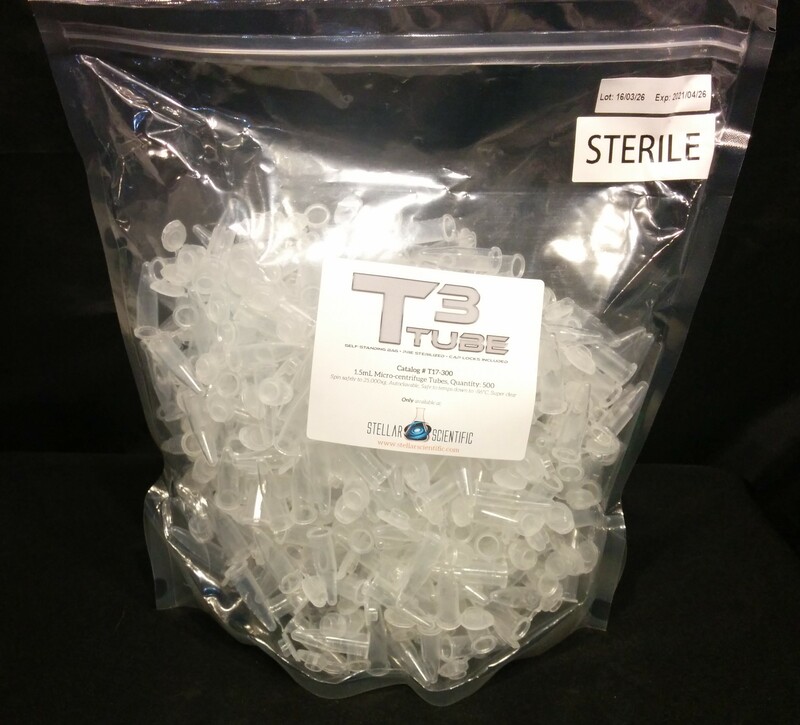 At a price that will pleasantly surprise you, the T3 Tube™ is going to be your "go-to" tube. You will definitely "Be Back" for more. Welcome to the future of laboratory microtubes!